Why is my WordPress site running so slow? This is often the #1 reason why your site is running slow. If you are a DIY type of person once you discovered the awesomeness of plugins, I bet you started trying out many different plugins and looked for something to handle just about every task or functionality you think of. Not the best choice for any website – install only the absolute necessary plugins you need to handle the different functions you need for your site. Many folks will have different SEO plugins or plugins that claim to help drive traffic and while in theory sound great most don’t do the job – there are a few I recommend and I will have in another post, but most of them you can ditch. Anything that does a redirect or changes your URL structure I recommend getting rid of it. If you need to do a redirect it’s better to do that either for your cPanel or in your .htaccess file (it’s not as scary as it sounds! I promise) and I’ll share some tips on how to do that in another post as well. 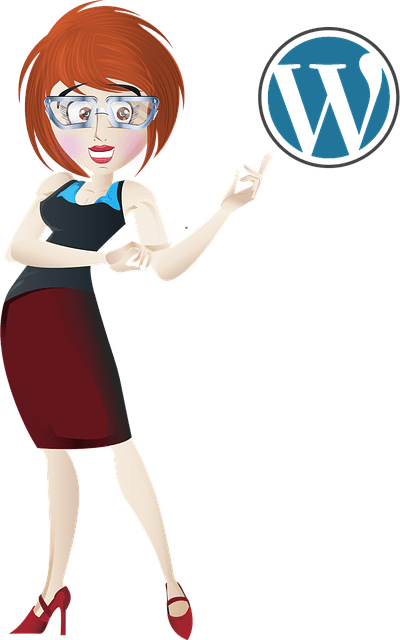 WordPress is awesome pretty well out of the box and there isn’t a plugin out there that’s going to trump great content and make your site numero uno on Google – just not going to happen! Only run plugins that are going to really enhance your site and make the functionality that much better. Just because it’s free, seems like an awesome plugin doesn’t mean it’s one you should add to your website. Be sure to check the WordPress Repository to see how often that plugin has been updated. Infrequently update plugins can add security risks to your site and that’s something you just don’t want to hassle with. If you have plugins that you’re no longer using – trash them. The few plugins and files on your server the lighter the load on your server and the happier it will be. If you’re curious about the performance of your current plugins use a plugin called P3 (Plugin Performance Profiler) – this plugin will create a profile of your current plugin’s performance by measuring their impact of your site’s load time. Many of use have a Facebook, Twitter or RSS feed in our sidebars of your websites, this can slow down your site quite easily. If the third party site is down or having technical issues, while your site is trying to load it will slow it down while your site still tries to communicate with the site. My suggestion, use with caution and monitor closely. This is especially true for the DIYer business owner. It’s likely you’ve learned a bit of HTML to get your way around to add small elements to your website. While this is a great bit of information to know, this can also be one of the biggest culprits to slowing your site down. The most common mistake when it comes to HTML is forgetting the closing tag, you know the ones that look something like this </a>. So when you are making any kind of change to your site make sure to make a back up of the original version so you can also reset it back if something happens. You can also use a validating service like W3 Markup Validator to check you site, it’s not perfect but for most of us it will help. It could also be a matter of how often your systems checks for new emails – too many requests at once can drain your servers resources and give you a timeout error, the most common of which is a 500 Internal Server error. So if you’re getting this error a lot check your email configuration to see if that’s the culprit. Use a cache plugin like W3 Total Cache or WP-Super Cache these plugins work by storing and returning the most recent version of your sites pages when requests are made and can help increase your load time of your site. 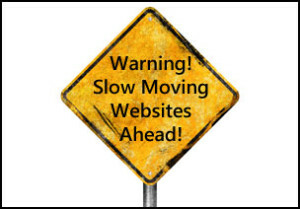 These are some of the more common reasons why your site might be running slow, but certainly aren’t all of them. It could be a matter of upgrading your hosting service, or moving hosts even to handle your traffic and added functionality you need. Redhead Business Solutions can help you with all of your speed issues, reach out for a no-obligation quote to get started. Having a Backup Plan in Place….